The vision of the Collaborative Innovation Center (CIC) is to create the optimal environment to serve the next generation of university–industry collaboration. 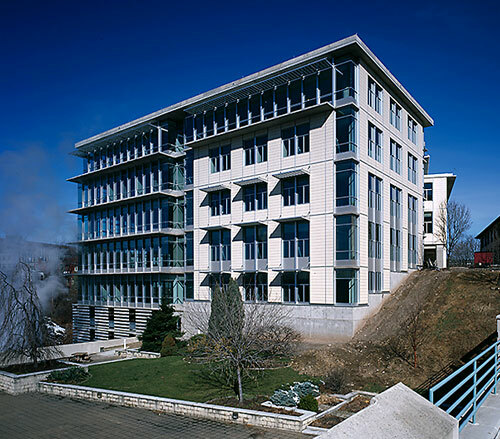 The CIC is a four-story, 136,000-square-foot, dry-lab research facility built in 2005 to provide office and lab space for technology companies wishing to collaborate with Carnegie Mellon to create innovative new concepts and products for the marketplace. The Collaborative Innovation Center, part of the Carnegie Mellon University campus, is a facility designed with the purpose of bettering the local industries ability to research, work together, support economic growth and spur good competition. The four-story, 136,000 square-foot facility is home to both office and lab space available to work to toward market place improvements. The flexible open interior provides the opportunity for each occupant to adjust the space to their needs, reducing the use of unneeded energy. While large exterior windows increase the use of natural day-light, solar panels and shading decrease the need for extra air and cooling control in the warm spring and summer. 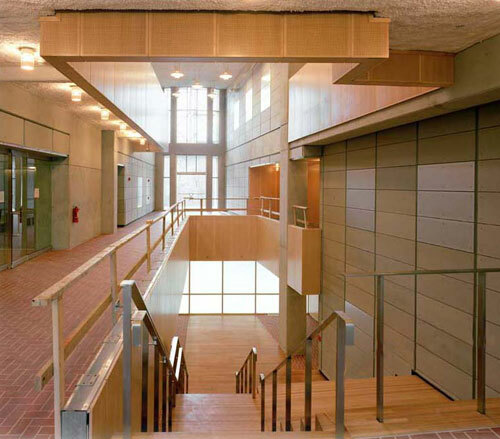 The raised floor HVAC system contributes to substantial energy reduction and quality improvement. The underground parking facility allows for electric cars to recharge during the day and for cyclists to park securely. The Collaborative Innovation Center provides a facility for incredible improvements; it is only natural that it was built with its own improved building standards. “As Carnegie Mellon’s first effort to create space on campus for joint research with industry, the building is a celebration of the goals of the KIZ program. The building creates a nexus for industry, federal, and university research—supporting start-ups, enhancing competitiveness for federal research funding, and creating a landing zone for companies,” said Mark Kamlet, Carnegie Mellon provost and senior vice president. Kamlet said the building is a hotbed for next-generation wireless and mobile computing, robotics, and trustworthy computing applications.